Home Clarke, Simon. THE FORMATION OF A LABOUR MARKET IN RUSSIA. 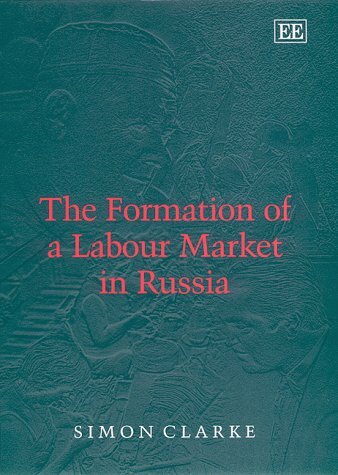 THE FORMATION OF A LABOUR MARKET IN RUSSIA. Title: THE FORMATION OF A LABOUR MARKET IN RUSSIA. We're primarily mail-order booksellers with more than 30 years' experience, including 10 years in an open shop. We have been selling books via the internet since 1999. TERMS: All items are subject to prior sale. Prices firm and include discounts. South Carolina residents add 5% sales tax. All books guaranteed to be as described; authorized returns accepted within 7 days of receipt if not as described. SHIPPING: All items are packed with care and shipped promptly. Additional postage may be required on multi-volume sets and oversize or heavier items. INTERNATIONAL ORDERS: We quote shipping on international orders.